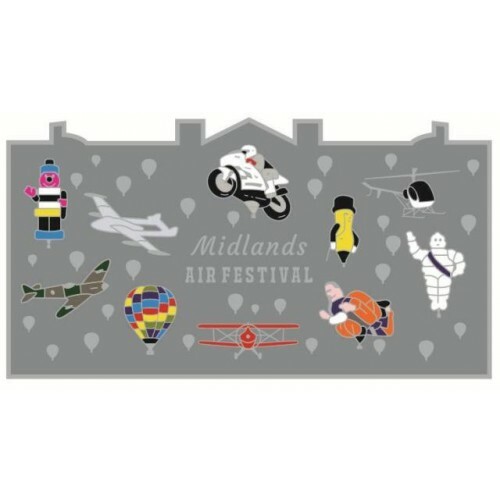 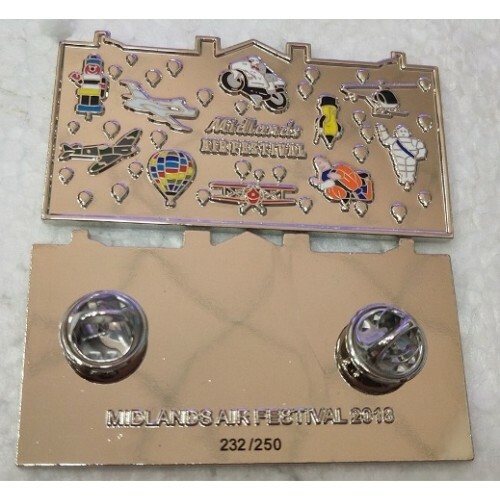 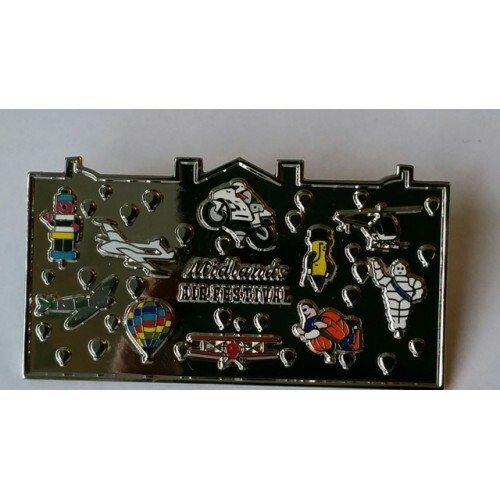 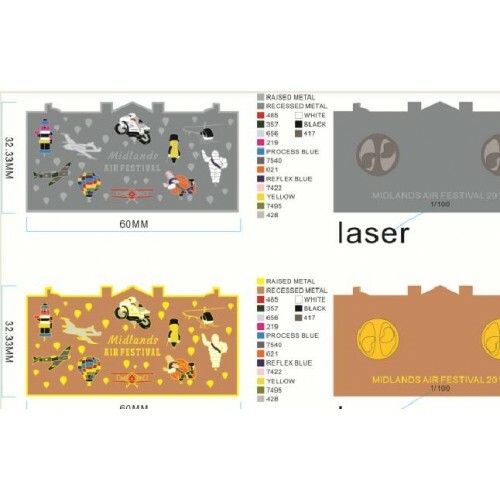 Midlands Air Festival 2018 Special Shape Hot Air Balloon Pin, featuring Bertie Bassett, Vampire Histroic Jet, The Superbike, Mr Peanut, Schweizer 269 Helicopter, Michelin Man. 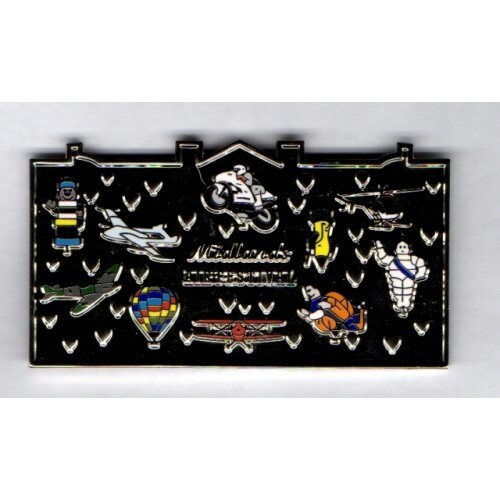 Action Man, Pitts Special, Spitfire and Ultramagic S-90 G-JEMS, set on the shiny silver background outline of Ragley Hall where the superb events was held. 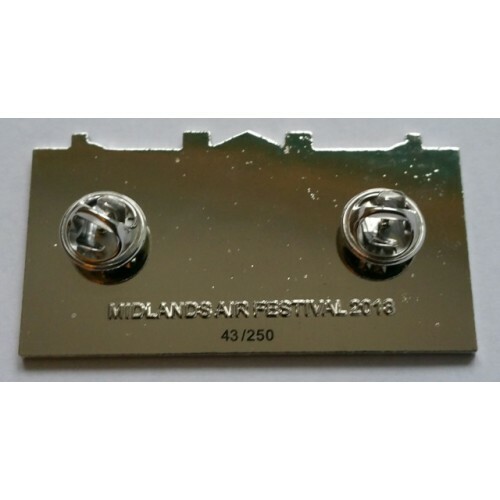 15 colours with raised silver artwork and Midlands Air Festrival titles, 250 made in silver all laser numbered and with Midlands Air Festival 2018 embossed onto rear, twin butterfly clasp, limited edition official event pin.